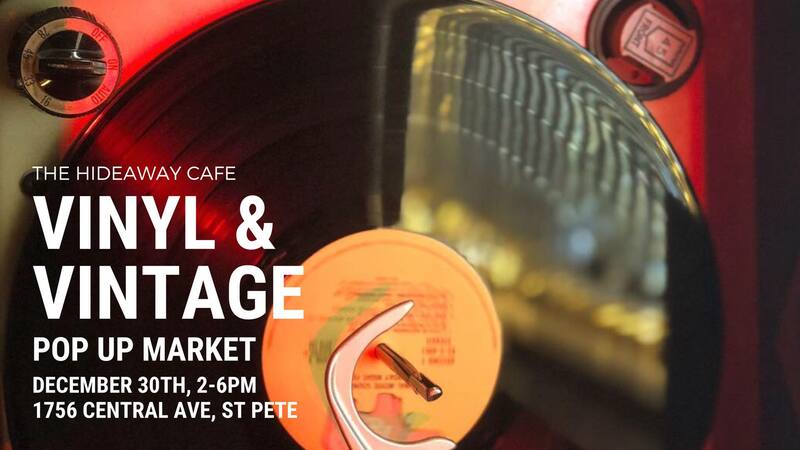 Vinyl & Vintage Pop Up Market returns! We will have 20 local vendors selling vinyl, vintage clothing + goods, music memorabilia, jewelry, baked goods, and more! This is also an opportunity for local musicians to buy, sell, or trade instruments and gear. The Hideaway will also be selling some equipment and instruments. Craft beer. Good eats. $20 Endless Mimosas. Come shop local + handmade!